Offensive lineman Justin Pugh (back) and linebacker B.J. Goodson (ankle) have officially been rule out of Sunday’s game against the Kansas City Chiefs. Linebacker Kelvin Sheppard (groin) is “doubtful” for the game. Defensive tackle Damon Harrison (ankle) and Devon Kennard (quad) are “questionable” for the contest. Offensive guard D.J. 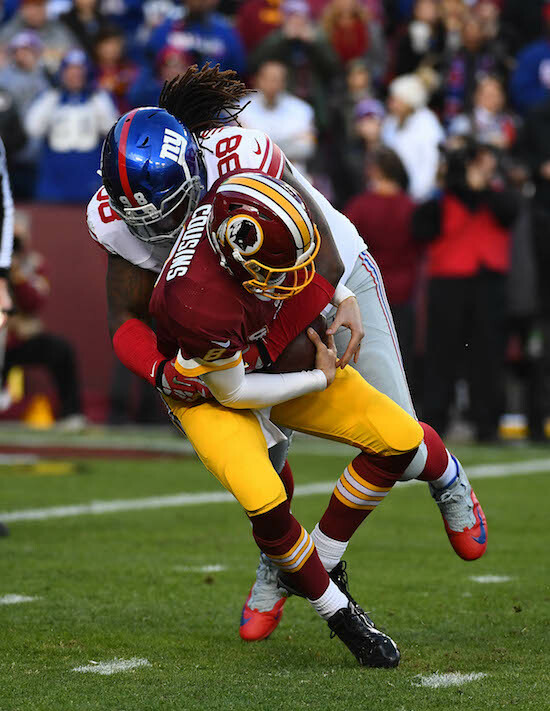 Fluker (knee), defensive end Jason Pierre-Paul (knee), defensive tackle Dalvin Tomlinson (ankle), linebacker Calvin Munson (quad), and cornerback Donte Deayon (ankle) are unofficially “probable” for the game. There is no media availability to the New York Giants on Saturday. The Giants play the Kansas City Chiefs at MetLife Stadium on Sunday afternoon.